Start your research with scholarly dictionaries and encyclopedias. Most of these online sources will also provide you with citation information of entries. Over 170 fully-indexed, cross-searchable dictionary, language reference, and subject reference works. Contains references to journal articles, books, government documents, and statistical directories. An online collection of dictionaries, handbooks, encyclopedias, etc. Quality reference resources from across the social sciences and humanities, including Blackwell Companions and Handbooks, and reference materials such as dictionaries, encyclopedias and concise companions. Contains cultural, business and travel data, as well as maps and photos of 175 different countries. (Oxford Reference Online) Features concise entries providing essential information on a range of subjects, including world affairs, science and technology, the arts, modern and ancient history, religion, sports, and popular culture. (EBSCOHost) Provides over 25,000 encyclopedic entries covering a variety of subject areas. Features over 1,200 entries of contributions from over seven hundred experts from around the world; a bibliography of over 10,000 citations. A free online encyclopedia featuring premier titles like The Columbia Encyclopedia, Oxford’s World Encyclopedia, and the Encyclopedia of World Biography. With more than 1,000 entries, this resource is packed with essential and up-to-date information on the state of business in our world. Features 850 articles addressing topics in K-12 and higher education, policy and legislation, educational organizations, learning and instruction, out-of-school influences, teacher preparation, and testing. There are also 121 biographies of education figures. Guide to the meaning, history, and pronunciation of over half a million words, both present and past; traces the usage of words through 2.5 million quotations from classic literature and specialist periodicals to film scripts and cookery books. Over 300,000 alternative and opposite words are available in this online searchable thesaurus. 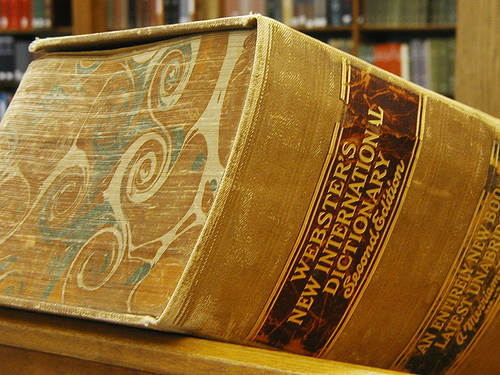 Merriam-Webster's database contains 225,000 entries, including more than 10,000 new words and definitions. (Oxford Reference Online) Bilingual dictionaries for English paired with the following: French, German, Spanish, Irish, Italian, Latin and Welsh. Provides access to several resources in the subject of Science. They may be searched together or by specific title. Titles include: A Dictionary of Biology, A Dictionary of Chemistry, The Oxford Companion to Medicine, A Dictionary of Physics, and The Oxford Dictionary of Sports Science & Medicine. Contains the full text of the 8-volume print edition and is updated at least four times a year with new articles and updates to existing articles. Contains rhymes for 45,000 words, including proper names, place names, and foreign terms used in English.